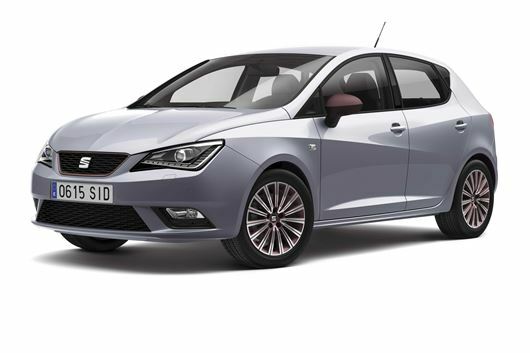 SEAT has gently updated the Ibiza hatchback. It’s due on sale in Autumn 2015 and will be priced from around £11,500. However, it seems there's no all-new Ibiza on the horizon until at least 2017. If you’re struggling to see any difference between this and the Ibiza you already know and possibly love, you’re not alone: visual changes are all-but nonexistent, with SEAT focusing its time and budget on engine efficiency, added comfort and additional technology. Ibiza running costs should be lower because SEAT has introduced a new range of TSI petrol and TDI diesel engines. The entry-level model is powered by a three-cylinder 1.0-litre petrol engine with 75PS, or there are two TSI turbocharged versions with either 95PS or 110PS, the former offering a positively diesel-like 68.9mpg and 94g/km. A new 1.4-litre TSI petrol unit with an additional cylinder develops 150PS and returns 58.9mpg combined, thanks in part to Active Cylinder Technology (ACT), which shuts down two of the cylinders under light throttle use to preserve fuel. But the economy headlines are found, as ever, in the diesel range. A three-cylinder 1.0-litre TDI diesel version boasts 83.1mpg and 88g/km, and even the dirtiest diesel, a TDI with 105PS, achieves 74.3mpg. That engine can be specified with a DSG automatic gearbox. Comfort is improved across the range by way of re-tuned suspension, with SEAT overhauling the old car’s springs, dampers and anti-roll bars to improve comfort. Adaptive damping switchable between two modes – comfort and sport – is available as part of an optional Drive Profile pack. In the cabin, despite the architecture staying exactly the same, existing owners will notice a new central multimedia screen. SEAT calls this Easy Connect and as well as handling the usual music and navigation functions, it can also mirror a smartphone on the screen, allowing apps to be used in the car. Other newly available tech includes DAB, a tiredness recognition system and Multi-Collision Brake, which applies the brakes automatically in the event of a collision to avoid further ‘knock-on’ crashes. It’s all technology that’s filtered down from the latest Leon, which has had a transformative effect on the Spanish company on account of being so much better than anything else it’s done before. In lieu of any real cosmetic changes, SEAT has introduced some new colour packs including contrasting coloured wing mirrors and interior trim. The new Ibiza is, as before, available in SC (three-door), ST (estate) and five-door formats. All three will go on sale from Autumn, before the expected launch of an all-new Ibiza in 2017.